One aspect to consider while developing an IoT project is the device power management. With the rise of Internet of Things, the optimization of the battery-operated devices is an important aspect that can make a difference. The Device Power Management in the IoT is a challenging task because a device could be always powered up and could be located everywhere. Often IoT devices are located remotely and they must use a battery to work. Usually a an IoT device uses one or more sensors to acquire information related to the environment. The data acquired are used locally or remotely to take decisions. This information are acquired using sensors and each sensor has specific power consumption. Therefore it is very important to select the sensors carefully in order to optimise power management. An IoT device during its operations can send and receive data remotely. Usually, several IoT devices are connected to an IoT gateway that collects such information and sends them to the cloud. The sending and receiving operation is one of the most expensive tasks from the power management point of view. This operation involves the radio connection (cellular, Wi-Fi, Bluetooth, etc.). Finally, using some specific business logic locally or remotely, an IoT device can control one or more actuators. The microcontroller controls all the operations and it is the brain of the device and in order to work, it needs power. Now we have introduced some aspects related to the power management in an IoT device, it is time to describe how to implement it. To do it, we will describe some best practices from the development point of view covering how to write the code that takes into account the device power management. The easiest way we use to develop an IoT application using Arduino, ESP8266 and other compatible devices is implementing the code in the loop() method. For example, when we have to acquire data from a sensor at specific time intervals we simply add the delay(..) method specifying how long the device should wait before starting again and repeat the same tasks. This approach isn’t the best one when we consider the power management aspect. There are different ways we can use to achieve a better result. This is the most inefficient way to use this device. It is always on. This mode is enabled only when the ESP8266 is connected to a Wifi. 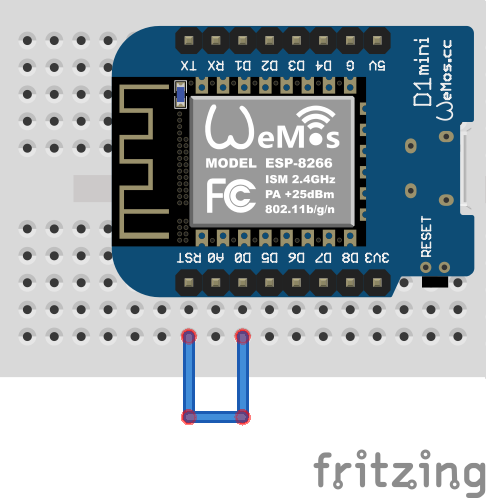 In this mode, the ESP8266 turns off the WiFi module between two DTIM Beacon interval. The ESP8266 turns on again the WiFi module before the next Beacon. This is sleep mode is used when it is necessary to keep the CPU on. This is mode is very similar to the Modem-sleep mode but in this mode, ESP8266 suspends the CPU and turns off the clock. This mode is more efficient than the previous mode. In Light-sleep mode, the ESP8266 should be woken up using a GPIO pin. In this mode, everything is turned off except the RTC (Real Time Clock) , so that the ESP8266 can be turned on periodically. This is the most the most efficient mode. The deep-sleep mode can be used in scenarios where the device should send data at specific intervals. This is the example of an application that uses sensors. The application reads sensor data, sends the values and the goes into deep-sleep mode. In this case, we are connecting the pin D0 to the RST. In this case, the ESP8266 goes into the deep sleep mode for 15 seconds. When it wakes up it starts from the beginning again, connecting to the WiFi and so on. It is possible to use this approach to wake up the ESP8266 using a button to start it. We will cover it in another post. At the end of this post, hopefully, you gained the knowledge about how to manage the power in IoT using some example. 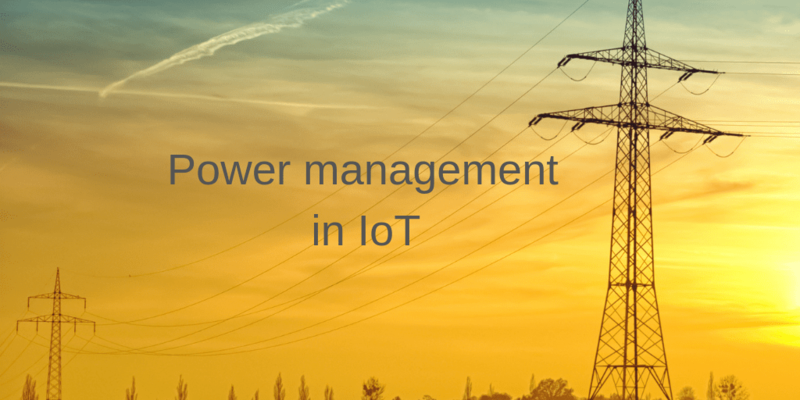 The power management is very important in IoT, so it is important to take it into account.